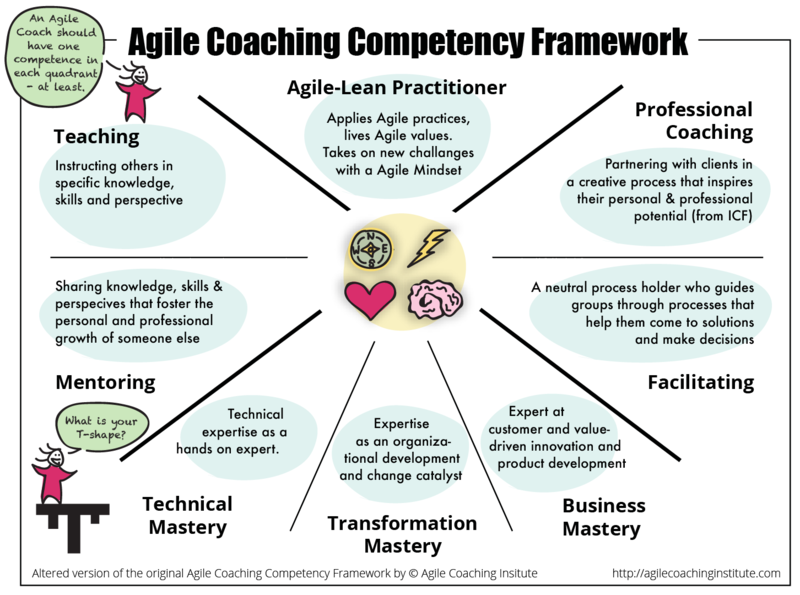 The framework that I find best describe the complexity of the role in a great way is the Agile Coaching Competency Framework by Lyssa Adkins and Michale Spayd at agile Coaching Institute. I have tweaked it a bit to be able to use it on a broader perspective then within software development. My hope is that it can be used by Agile Coaches across the organization. 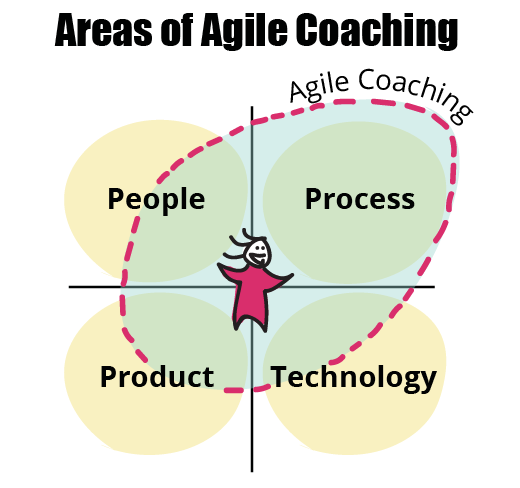 The way they explain it is that every Agile Coach should master at least one area within the 4 main areas. This 9 grid is based on the orginal paper from 1985, Principles and Dynamics of Matching Role to Situation. Douglas P. Champion, David H. Kiel and Jean A. McLendon. 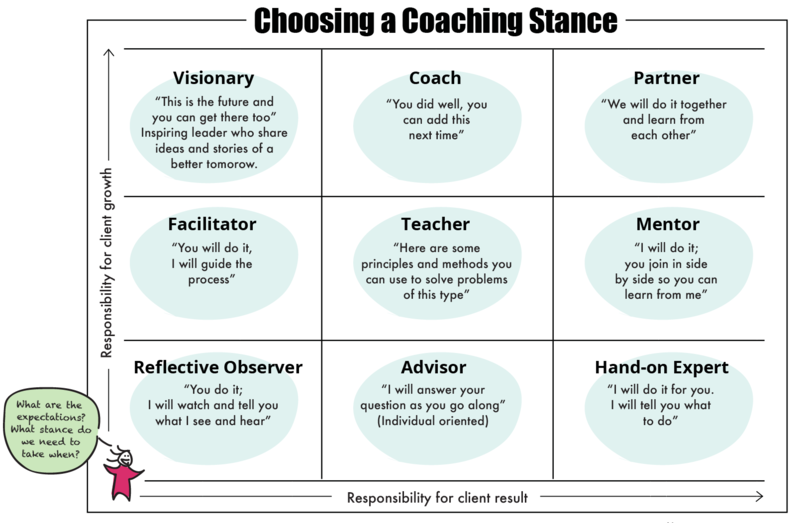 This one has also been modified to better fit our way of working today when our stances may vary all the way from visionary Agile leaders to hands on experts. This is a description of how we work at different levels in the organization. When we combine our efforts and also work as a team in paralell – thats when we can get great results moving forward changing the culture. The most important for all organizations who wants to become Agile is to get leadership across the organization onboard and to support the Agile teams to become high performing by removing hinders continiously, this is often the focus for Enterprise Agile Coaches. Also enabling Business Agility by transforming functions such as finance and HR to support Agility – strategic process improvement and leading the Agile Coaches group. 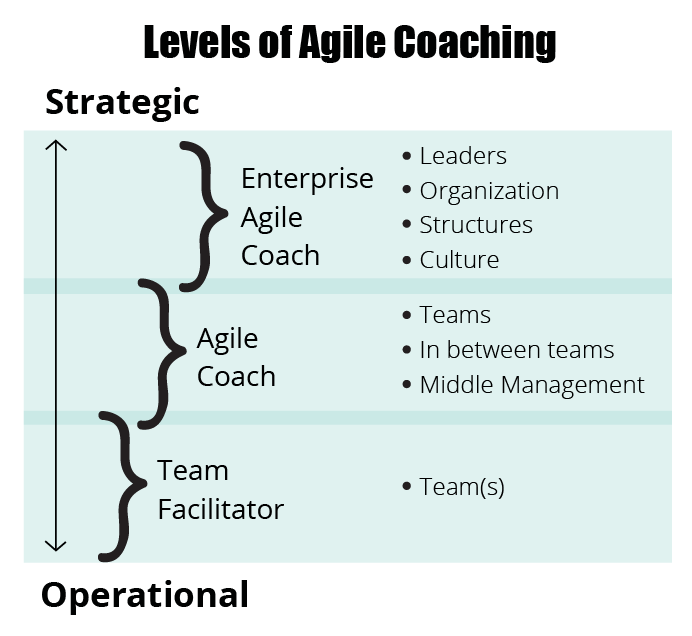 Agile coaches on teamlevel work with building high performing teams as well as supporting needs in between teams in organizations with several teams. Team facilitators handle the facilitation of the team ceremonies. This is also orinally a model from Lyssa Adkins and Michael Spayd that we have altered too and added the strategic level. 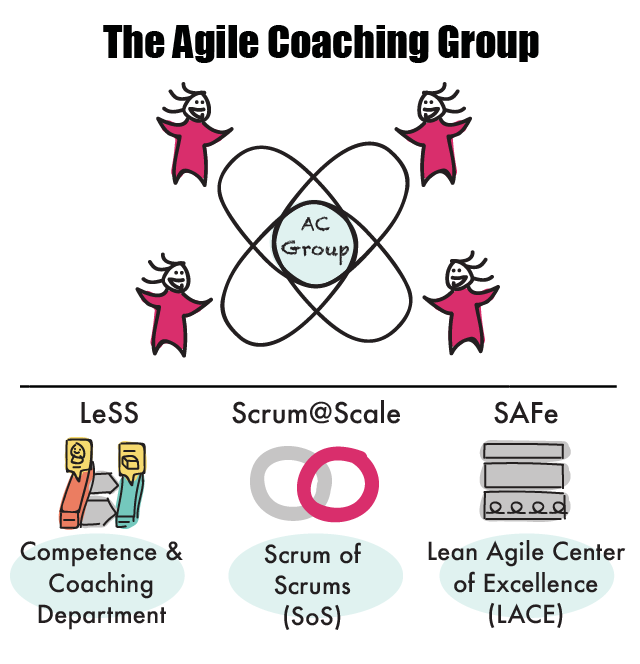 The group of Agile Coaches work individually in their roles within different areas, but also together as a team with shared goals to take a organizational and long term strategic responsibility for improvements. The group is named differently in different frameworks, but the purpose is always the same; to work strategic and operational with process improvements and do coaching, training and mentoring. In Agile organisations a leader is responsible only in one area. Either PEOPLE, PRODUCT, TECHNOLOGY or PROCESS. 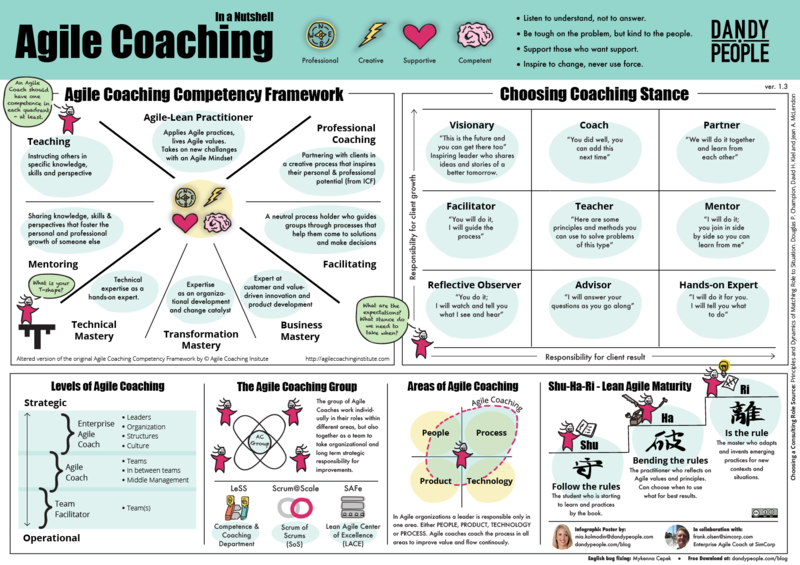 Agile coaches coach in the process in all areas to improve value and flow continuously. This is something we both often see as a subject of misunderstanding and fear to many traditional leaders where they previously in their line manager role might have had managing both strategy, people and technology. This does not mean they will loose their job, or become less valuable, it just means they can focus more, become better leaders who are less stressed, enabling the organizational to be more innovative and people friendly. This is a classic way to visualize the different levels of Lean Agile maturity on an individual level that I use a lot in my coaching. We often work to get as many as possible up to HA-level, thats when we get a strong foundation for an Agile Mindset in an organization. If too many people stay on SHU-level and the Agile Coaches leave, thats when the organization starts to fall back to previously behaviours and structures. 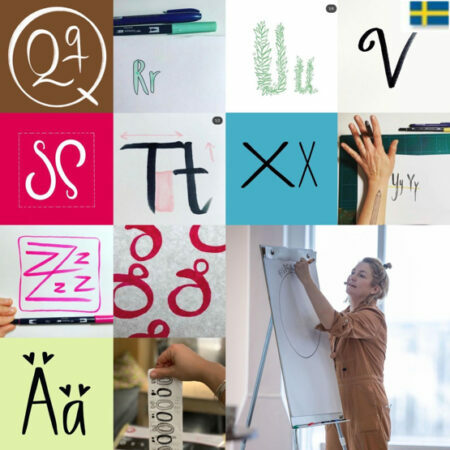 SHU – Follow the rules The student who is starting to learn and practices by the book. 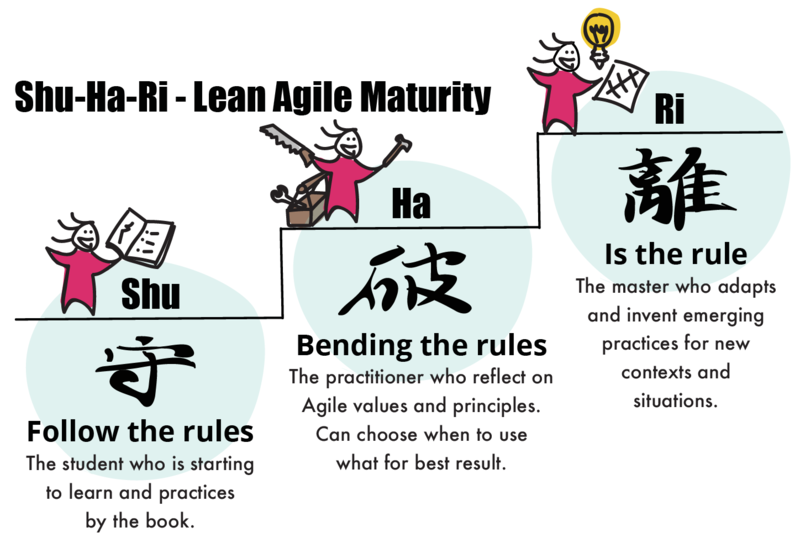 HA – Bending the rules The practitioner who reflect on Agile values and principles. Can choose when to use what for best result. RI – Is the rule The master who adapts and invent emerging practices for new contexts and situations. I am a great believer in the value of diagrams and Agile coaching in a nutshell is a great poster. Many ideas and concepts are captured. Thank you. I appreciate your updates. Still hoping for an opportunity to attend one of your events. Very attractively designed, and a great take on the initiatives of The Agile Institute. Hey nice job can I translate to Portuguese and send to you so that you can post?